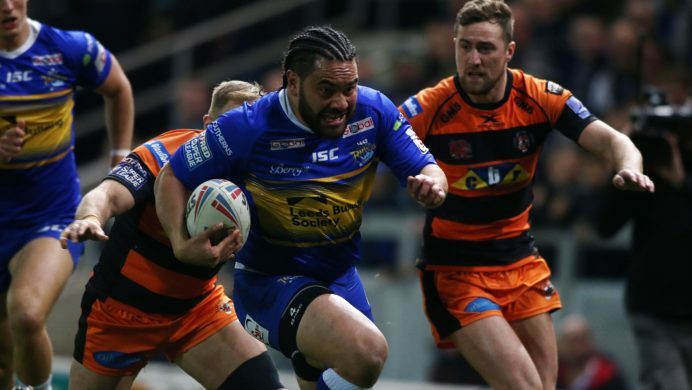 Leeds Rhinos face Huddersfield Giants at Headingley Carnegie this Friday 4th March, kick off 8pm. Advance tickets for tomorrow’s game start from £20 for adults, from £13 for concessions* and from £10 for juniors. Please note that prices increase by £2 on match day and advance discount is valid until midnight on Thursday. There are less than 100 tickets left in the South Stand for tomorrow night so fans are urged to buy in advance today as there will be no cash turnstiles on the night for the South Stand. Seated tickets are still available in the North Stand and there are approximately 500 tickets left in Carnegie Terrace. 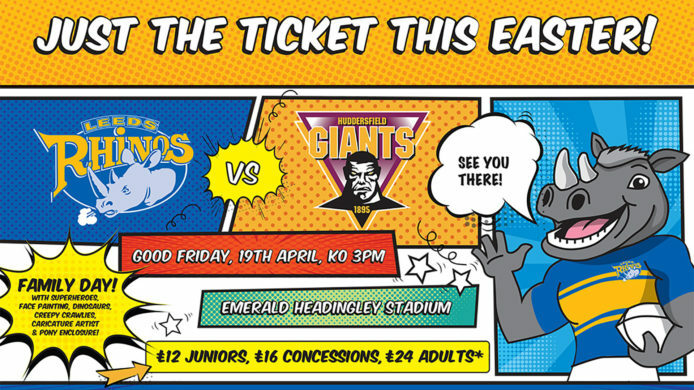 To book your tickets, call the Ticket Office on 0371 423 1315, pop down to the Leeds Rugby Store at Headingley Carnegie Stadium – open 9am-5pm Monday-Saturday, or book online 24 hours a day at www.therhinos.co.uk/buytickets. Avoid the queues and print your ticket at home if you book online with our new ticketing system. Not only will it save you having to collect tickets on the night, you’ll save the £1.50 booking fee when you choose to print at home! If you buy tickets in advance and choose to collect your tickets on Friday please arrive early and head to the official collections point in the Ticket Office on St Michael’s Lane (entrance is street side). We’re expecting a huge crowd so please arrive early to avoid congestion and to save you queuing. Turnstiles are open from 5pm on Friday and there’s lots of entertainment taking place around the ground ahead of the big game. Don’t miss live music and fire performers outside the Club Shop and make sure you visit the Royal Marines recruitment tent in the South Stand where they will be handing out free water bottles and t-shirts. Before the match the Royal Marines will be abseiling into the stadium to deliver the match ball and as always, Ronnie the Rhino will be making his famous appearance with his match day mascot, and there will be performances on the pitch from the Spencer Properties Dance Team. At half time our junior Rhinestones dancers will be performing in front of the Carnegie Terrace. Keep an eye on the big screen as we’ve got a special message from a first team player for one lucky fan, plus watch out for the Heart FM kiss cam! There will also be heritage certificate presentations at half time; this week we’ll be presenting certificates to former players Paul Dixon, Paul Cook, Marcus St Hilaire, Darren Fleary, Anthony Farrell, Simon Irving and Stan McHugh. 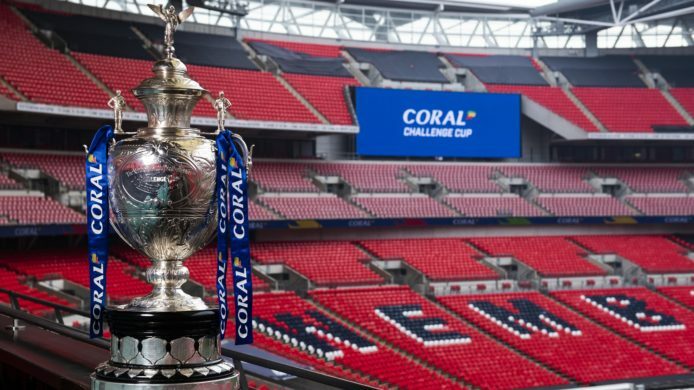 Finally, The Yorkshire Regiment Super League Challenge Cup will be presented to Leeds Rhinos captain Danny McGuire on the pitch in recognition of Leeds Rhinos winning the award last season. Can I pay on the day at the turnstiles? Cash turnstiles will be available on the night on St Michael’s Lane and Kirkstall Lane only. Match day standing prices are £22 for adults, £15 for concessions* and £12 for juniors. There will be no cash turnstiles available at the South Stand. 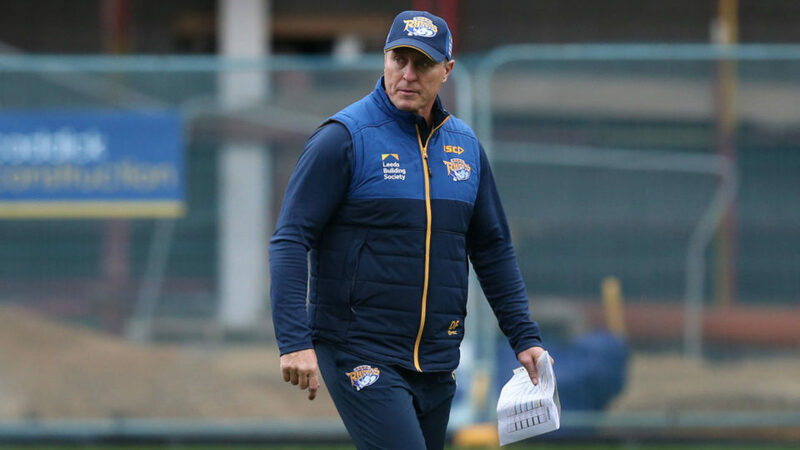 Please note that we are conducting bag searches at Headingley Carnegie this season and ask that fans consider not bringing any bags into the stadium with them where possible – particularly large bags and rucksacks, as this will slow down entry. 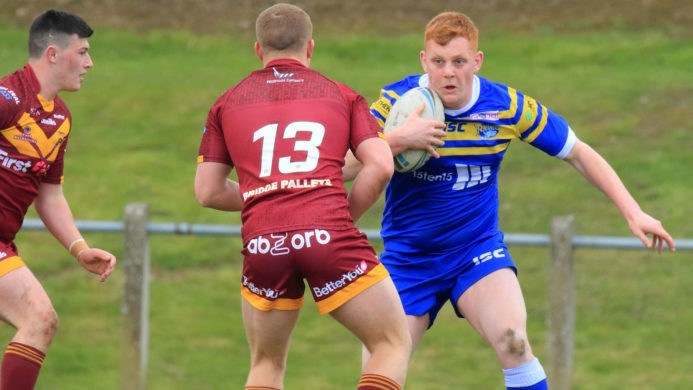 Rhinos Members can receive a voucher to exchange for a free copy of our Blue & Amber programme this Friday when you use your ‘bring a friend for free’ credit obtained with your Season Membership. You must provide details for your friend including full name, address, contact number and email address and your ticket and voucher will be available for you to collect from the Club Shop or Ticket Office ahead of the game. To book for your mate now call the Ticket Office on 0371 423 1315 – the offer is not available online. Programmes are available from the club shop, Ticket Office or from sellers around the ground on game day for just £3. Where can I purchase food and drinks? Food and drinks will be available to buy from all concession vans and bars situated around the stadium. The Carnegie Café Bar is open to all as a public family area on match day. Choose the Champions Choice Kids Menu with a main course, carton of juice or water and a cookie or piece of fruit, priced at just £5! There will be free activities for children on offer in the Heart Family Zone, including free face painting, balloon twisting and a visit from Ronnie the Rhino. Retail Discount For Members This Friday In The Club Shop! We’re offering our Season Members some great savings in the club shop this Friday. Turnstiles open at 5pm and if members make a purchase between 5-6pm you’ll save 20%, between 6-7pm you’ll save 15% and between 7-8pm you’ll save 10%! Just show your membership card at the till. 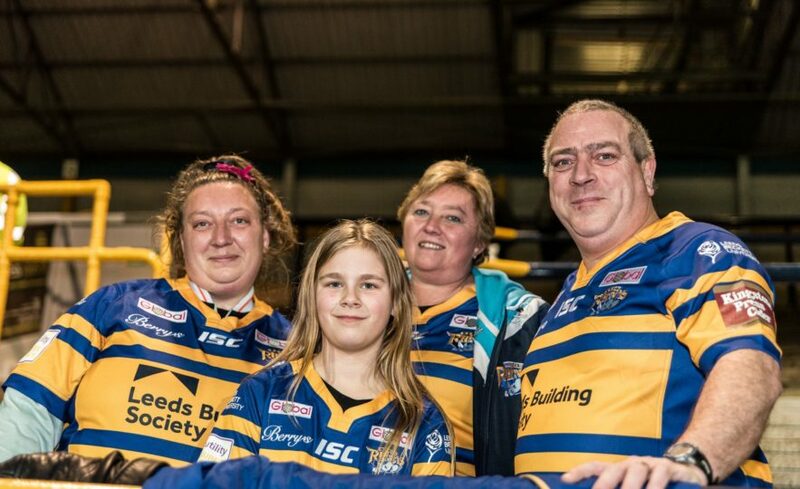 The offer is not available on Testimonial, NRL or sale items, or on non-Leeds Rhinos merchandise. We’ve still got the 2016 off field & training range available at the Club Shop. The range, which predominantly features green and steel colours from the 2016 away shirt, features polo shirts for £26.99, training t-shirts from £25.99 and hoodies for £38.99. The Long Bar is open for all Gold Members pre and post-match this season. Alex Simmons will be hosting pre-match activity from 6.30pm including a special Q&A and match preview with ex-players Paul Cook, Paul Dixon and Marcus St Hilaire, so be sure to join them before kick off. Hot food will be available for £6.50, with a dining area provided. Rugby AM will also be hosting the Long Bar for Gold Members post-match, and will be entertaining members with quizzes and games with some great prizes to be won.